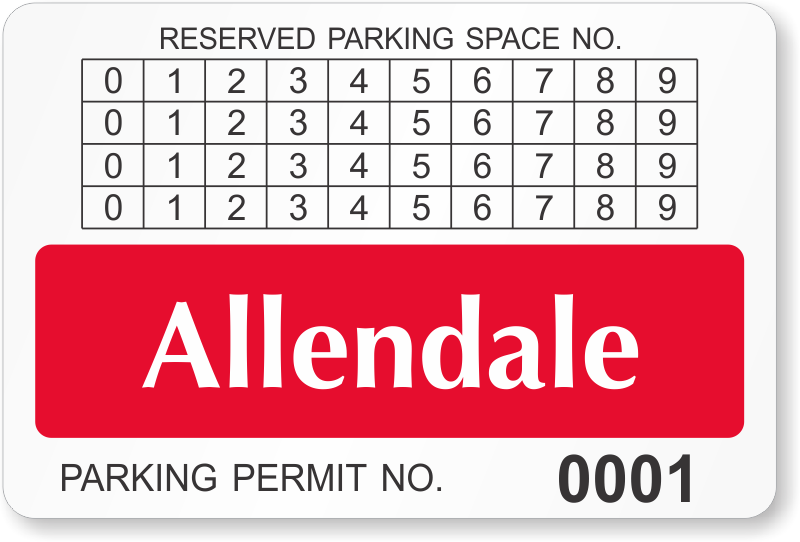 Which car belongs to which spot? 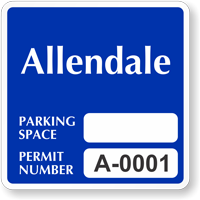 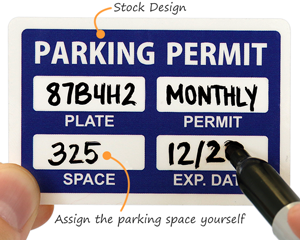 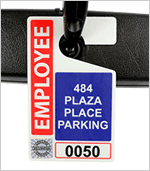 Parking Spot Permits make it easy to assign parking spots and create order for your lot. 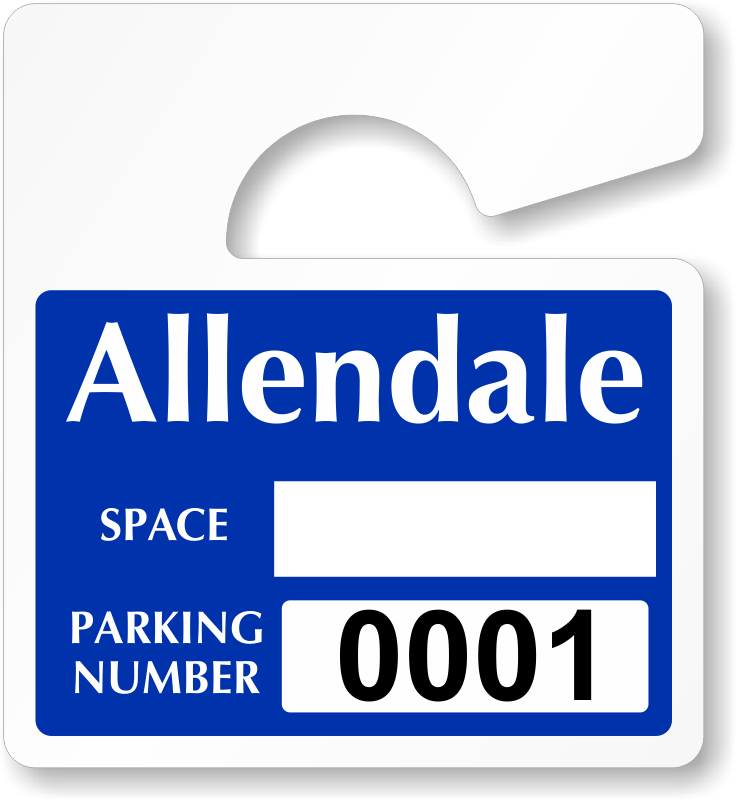 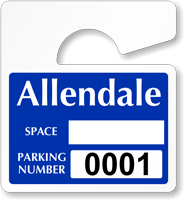 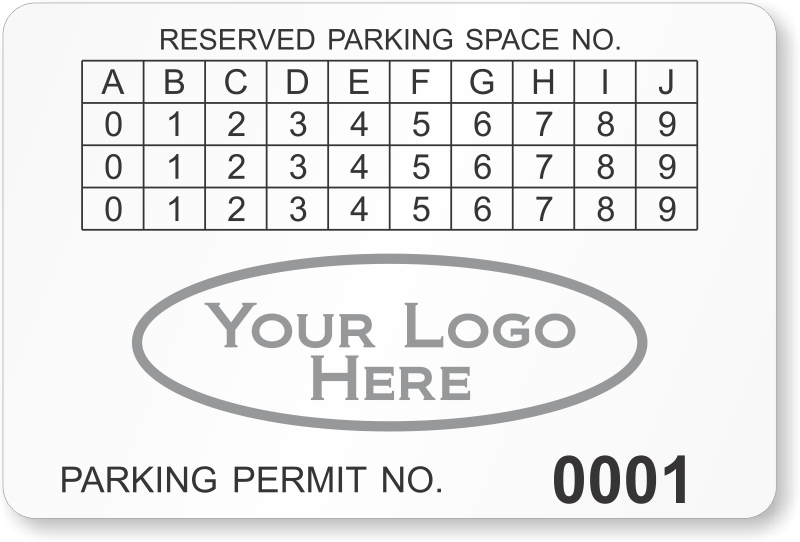 • Fill in the parking spot number and associate a given spot with a particular parking permit number. 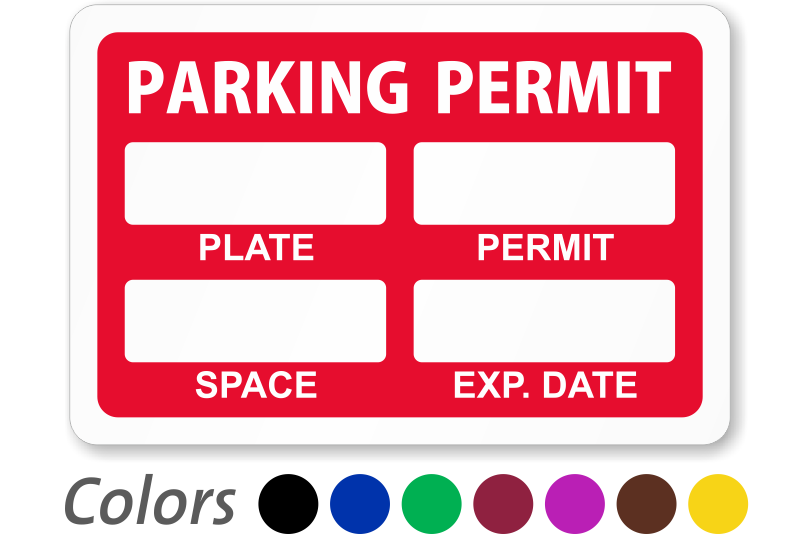 • Color coded designs can be used for different lots. 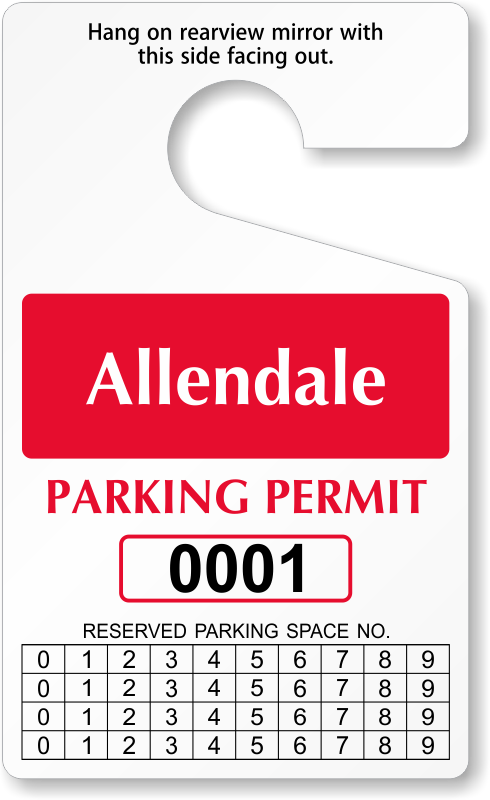 Violators and past-due permits are spotted immediately. 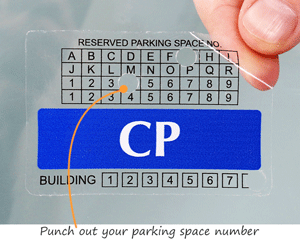 • Find both punch-out designs and write-in designs. 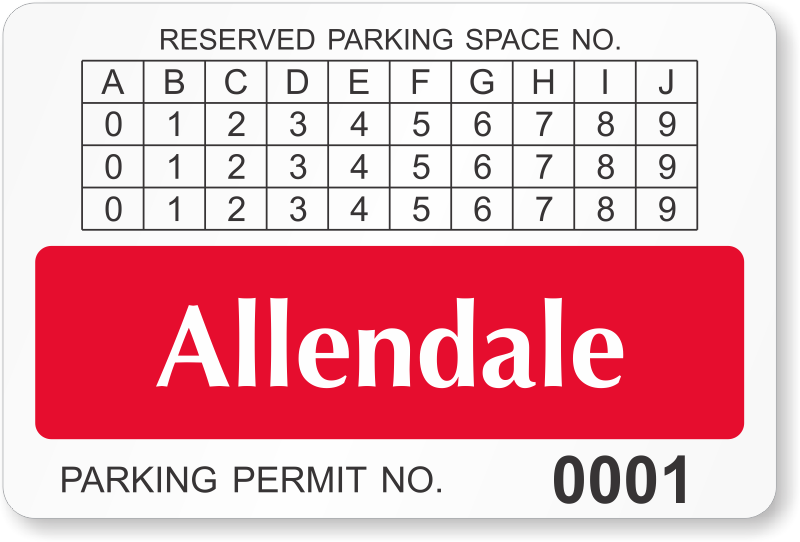 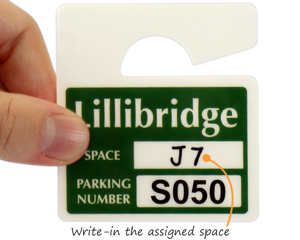 You can circle the proper numbers or just hand-write this information onto the decal or hang tag itself. 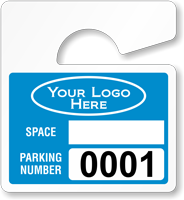 • It is easy to order a custom parking permit - it takes just minutes. Upload your own logo or simply type in your organization's name. 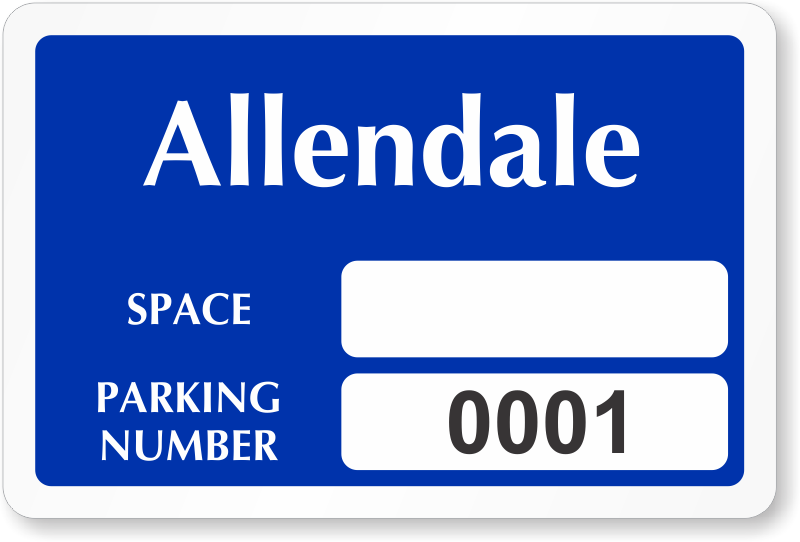 Pick your color scheme and a starting number. 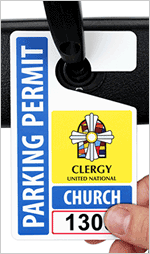 Punch out the valid “Up-To” date. 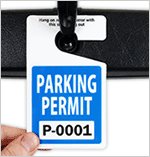 These flexible permits allow you to control visitor access to your lot. 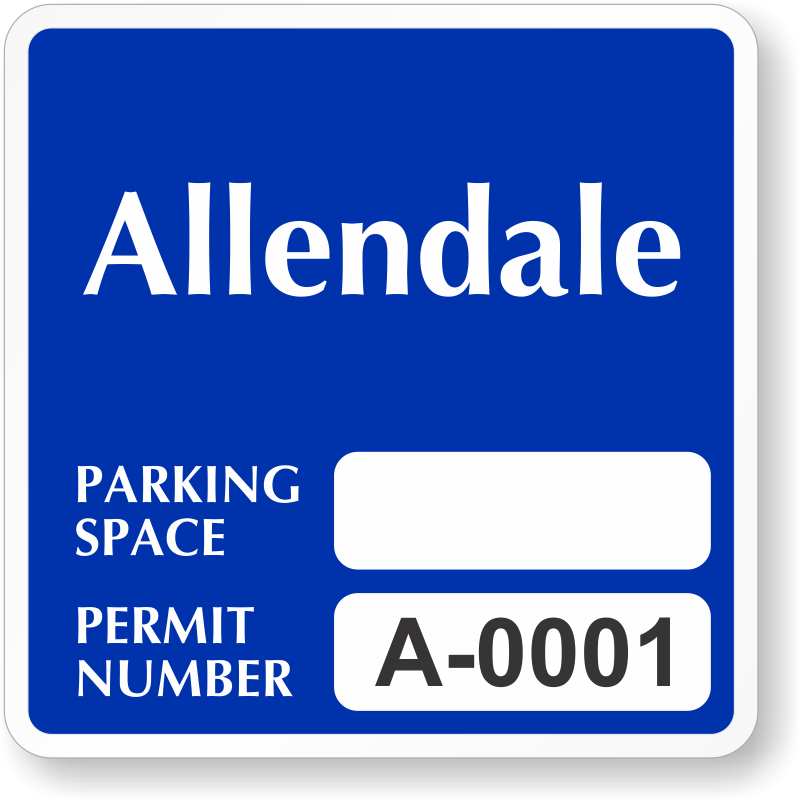 The first permit below is in-stock for quick ship. 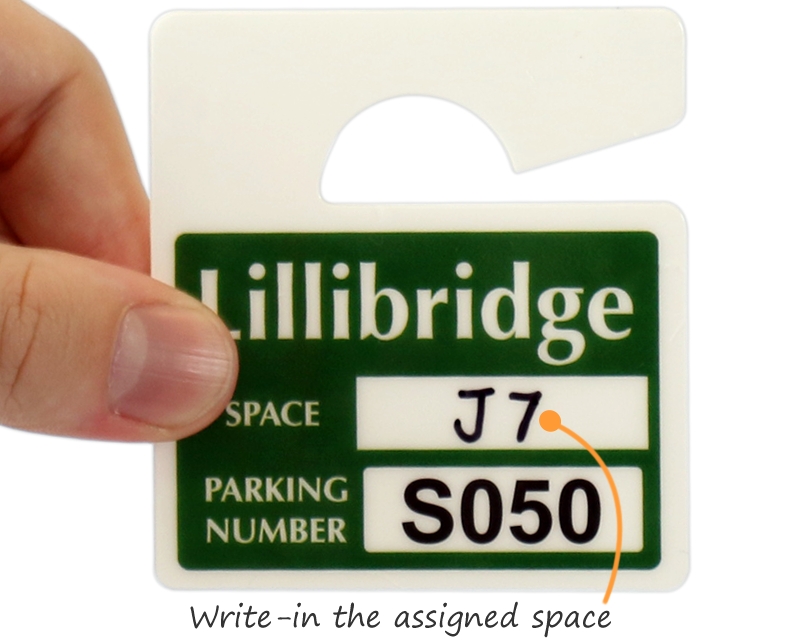 You write in the assigned space number in the field. 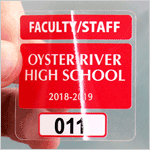 The latter designs are customizable templates. 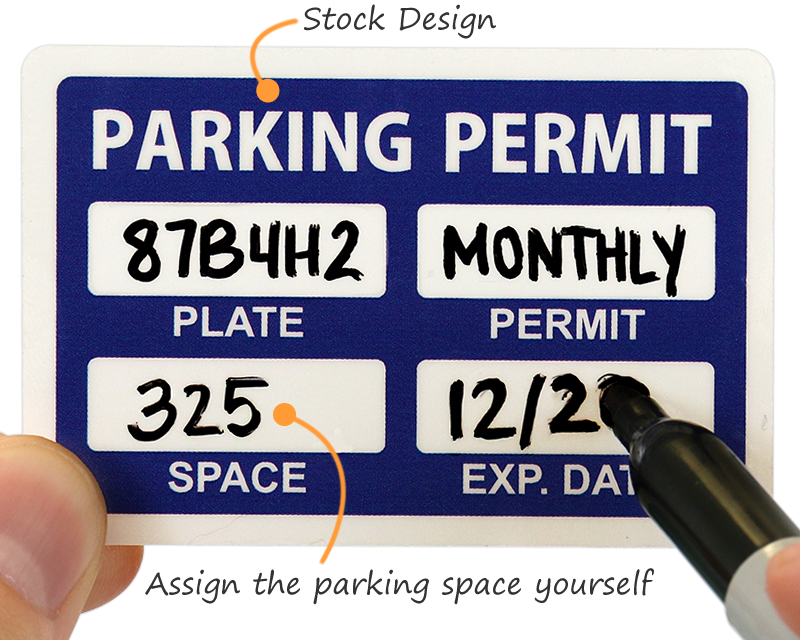 You can punch out or use a marker to circle the driver’s assigned parking space. 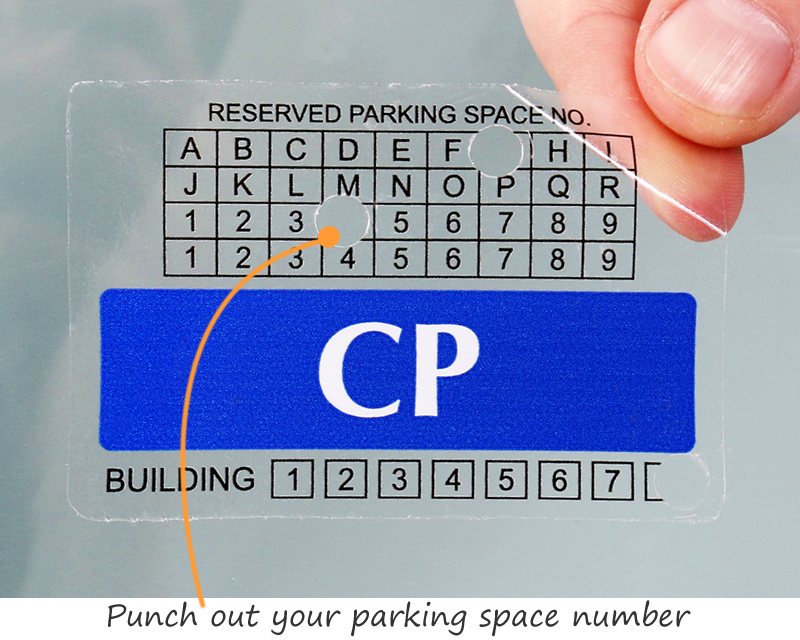 Punch out the parking space.